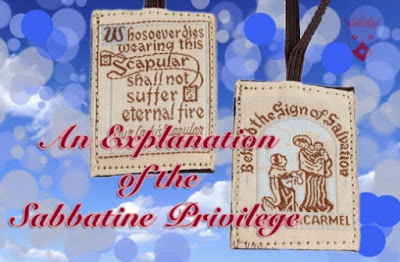 There is almost no other topic on which we post that elicits more hate mail then when we write about the Sabbatine Privilege: the hundreds-of-years-old tradition that was approved by numerous popes and grants that anyone who wears, is enrolled in and who fulfills the daily obligations of the Brown Scapular will be consoled by Our Lady and taken to Heaven out of Purgatory on the first Saturday after his death (simply wearing the Brown Scapular is not enough to receive the Privilege). 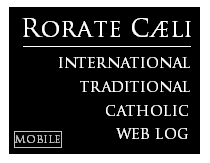 We get hate mail from modernist laymen, priests and even some Carmelites as well. 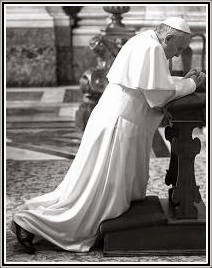 It's as if the demons do everything they can to stir these liberals into a frenzy whenever our fingers tap the keyboard to post on the Privilege. For one of the best sermons we've ever heard on the topic of the Brown Scapular and the Sabbatine Privilege, click here.